Tobermory Ontario is one of those places perminantly etched in my mind. It might be because of the long drive to the tip of the Bruce Peninsula, or because of the frigid Georgian Bay waters. 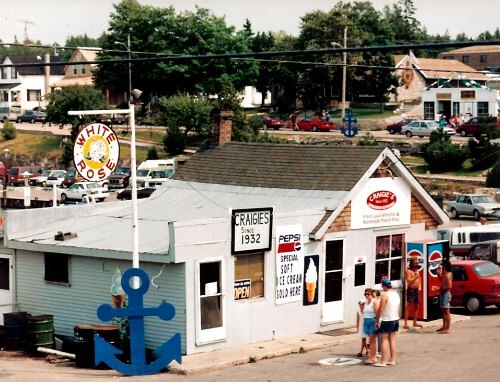 But most likely it is simply because of the wondrous natural beauty of the area and fond cottaging memories. Tobermory is famous for a few reasons. It is the worlds freshwater SCUBA diving capital because of the numerous ship wreaks and as such the area is protected as part of the Fathom Five National Park. Glass bottom boat cruises take those not interested in diving on a tour of the 22 shipwrecks and historic lighthouses. 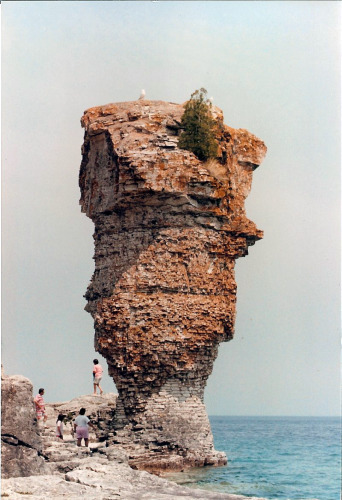 Also within Fathom Five National Park are the many islands including Flower Pot Island. Charter a zodiac ride over for a fast ferry from Little Tub (a favourite memory of my childrens!). 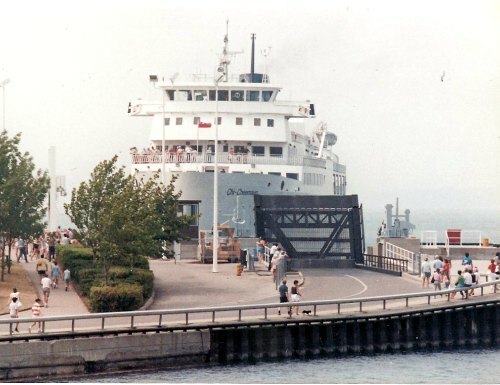 It is also where you can pick up the Tobermory ferry to Manitoulin Island, the MS Chi-cheemaun. You can drive your car directly onto the ferry to tour around the largest fresh water island in the world. 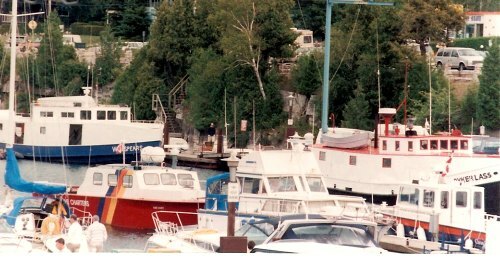 Tobermory is a favourite harbour for sail boats and power boats alike and wandering the Tobermory marina you are just as likely to find luxury yachts as retired fishing boats chartering scuba divers. 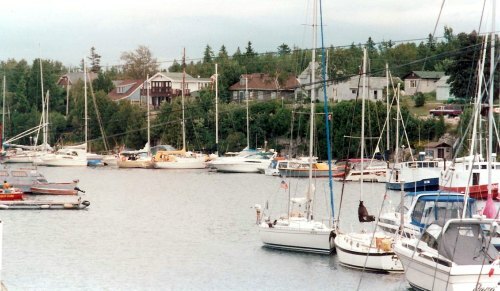 On one of our many visits to Tobermory in the late 80's with my children we chartered a sail boat down the shore to Cabot Head and Wingfield Basin which we would highly recommend to anyone. If you are planning on staying for more than just the day there is plenty of Tobermory accomodation options. If you are going to Tobermory camping there are options right in town that include Lands End Park, Tobermory Village Campground and Happy Hearts Tents & Trailer. If you are more adventurous try out the campsites on the islands off the Tobermory coast. But book in advance as there are limited spots available. For the less rugged there are of course Tobermory hotels and cottage rentals. For a small town that is remote enough for most businesses to only operate during the peak cottaging months of May to October it is surprising how many motel and hotel options there are in Tobermory. Noteable mentions are the Big Tub Harbour Resort & Restaurant and The Grandview Motel (the restaurant overlooks Georgian Bay & has a great hot chocolate). Tobermory Ontario is somewhere that I keep going back to and a summer isn't complete without at least a day trip up the Bruce and a walk around Little Tub Harbour. Return HOME from Tobermory Ontario.